My favorite picture of Jani & I, the L.A. Guns at The Whisky A G-Go. He looked so good, so healthy 1/19/11. “As I write this, it is only a couple of hours after I was notified of Jani’s passing, one of my best friends who I loved like a brother. Although I was told the circumstances, I’m sure the official reasons will all be out shortly. I’m also sure that there will be an endless amount of people who will say it was no surprise to them, say some negative things about him and so on. It’s no secret he had always fought demons and life was sometimes a constant battle for him, and I knew that more than most. 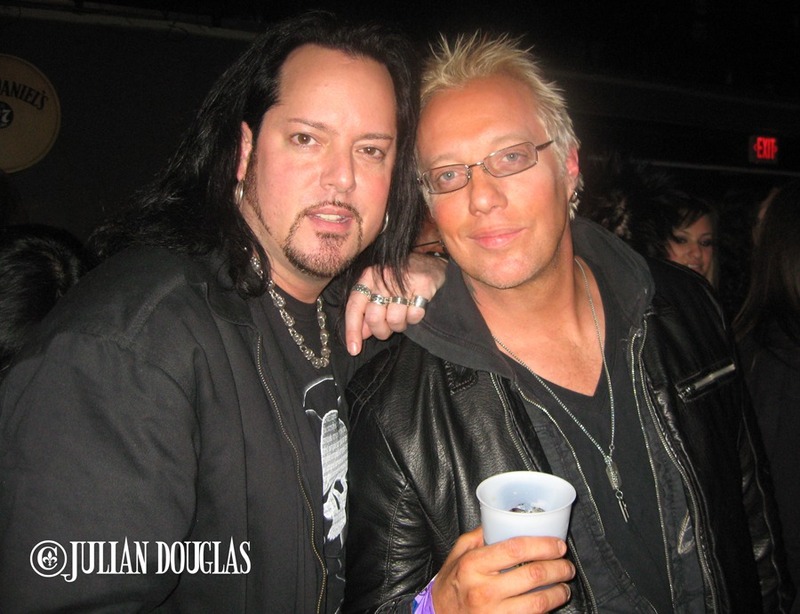 I wanted to say I was honored to not only know Jani for over 25 years and for us to be so close but more importantly knowing Jani had very few real friends he trusted, cared about and loved for the way they loved him back and I was one of them. 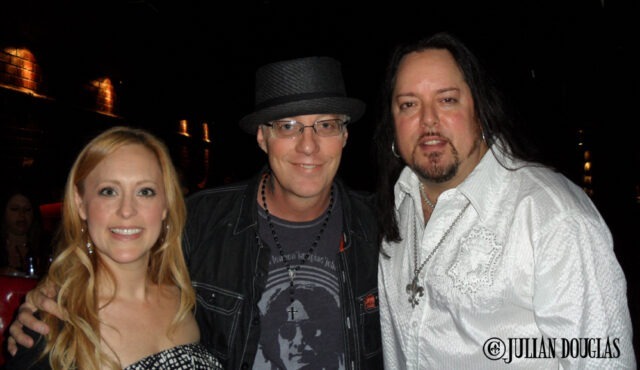 Jani with my wife Nicole & I at our Wedding Reception at the BriXton 4/11/11. 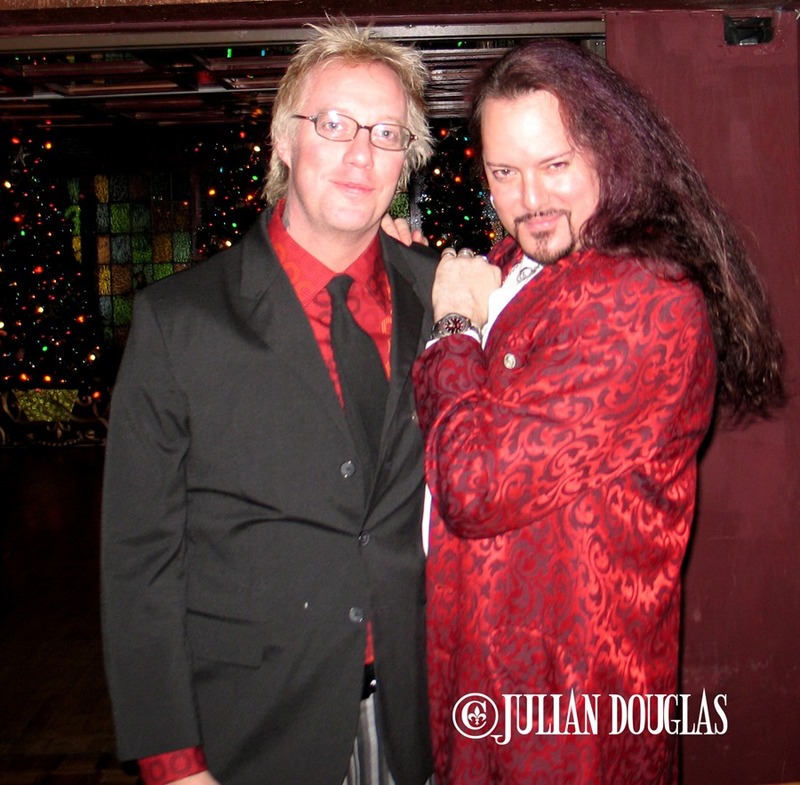 One of my favorite moments was this past April, 2011, when at my Wedding Reception, in walks Jani, taking a break from being in the studio, just to drop by to give my wife and me his love and best wishes, let alone drop off a very meaningful present. That was the kind of warm soul he was. A great picture after Jani signed the gifted guitar from the BriXton to my wife & I (photo courtesy of K Zakk Williams). My wish is that we all remember Jani for what he left to us through the world of music, and through his music, his memory will always live on like so many other great artists. He was not only a gifted songwriter but an amazing singer & frontman and a brilliant musician. Sure many will only remember him as that “Cherry Pie” guy or that “Down Boy”, but it’s his brilliance with such deep songs like “Uncle Tom’s Cabin”, and songs filled with such emotion like “I Saw Red”, “Heaven”, “Sometimes She Cries” and “Blind Faith” that we will never forget. 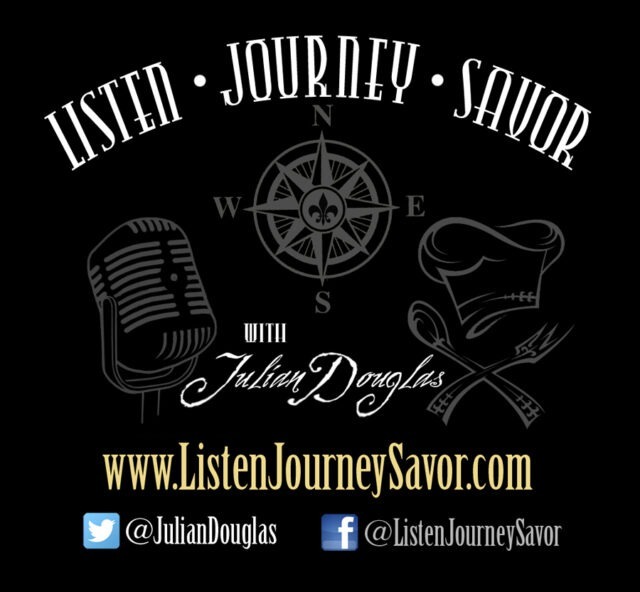 Jani was a key part to the music of the 80’s, the great MTV days and more. Already in the hours after his untimely death, musicians from all over the world are pouring in with the sadness of his passing and praise to what a great impact he had on music. 2 weeks before his passing, Jani & I went to an 80’s night I had. 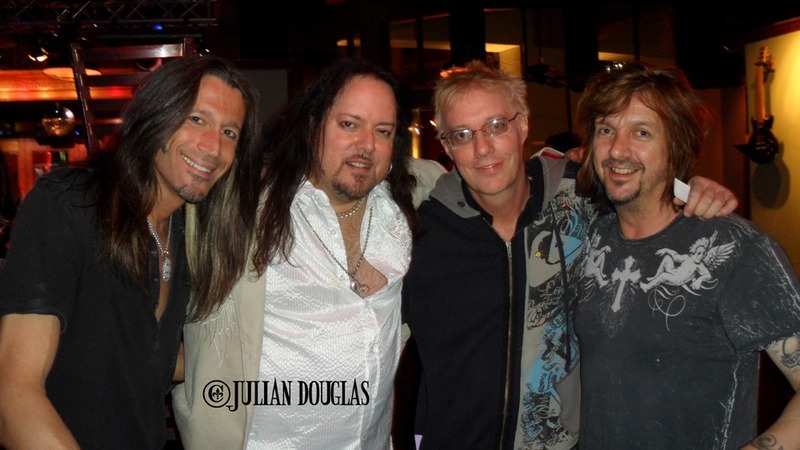 He jammed with “Snake” Sabo from Skid Row (far right in pic), his last public performance. It was the last time I would see him 7/27/11. Now that some time has passed since I wrote this article, there are a few things I would like to add. For one, being friends with all the original members of Warrant, as well for so many years… Jerry Dixon, Erik Turner, Steven Sweet & Joey Allen, AND current lead singer, Robert Mason (of Lynch Mob fame), I can not commend them more than anyone can, for their dedication to the continuation of Warrant, and the job they have done. Every show they perform keeps the music alive, keeps Warrant relevant, and keeps Jani relevant too. I’m proud to call these musicians friends, but as a fan of their music, it runs even deeper. 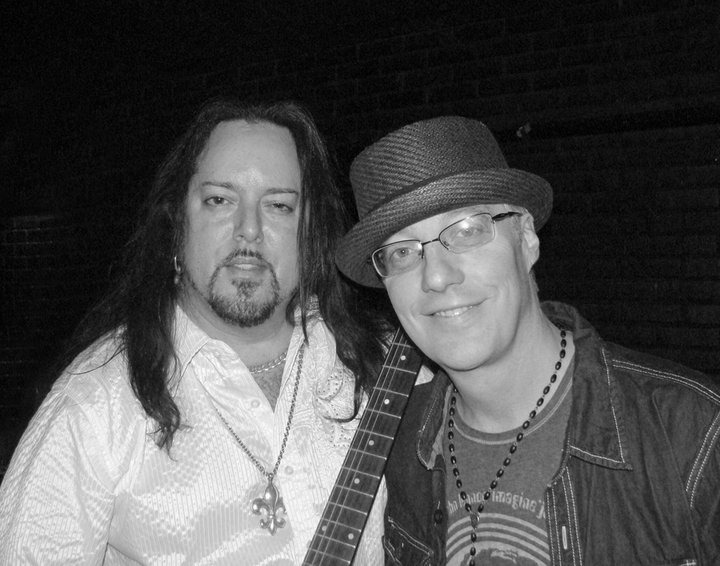 Weeks later at NAMM, the world music convention and I was proud to be a part of old The House Of Blues – Anaheim’s big Friday night show with Warrant. It felt great! 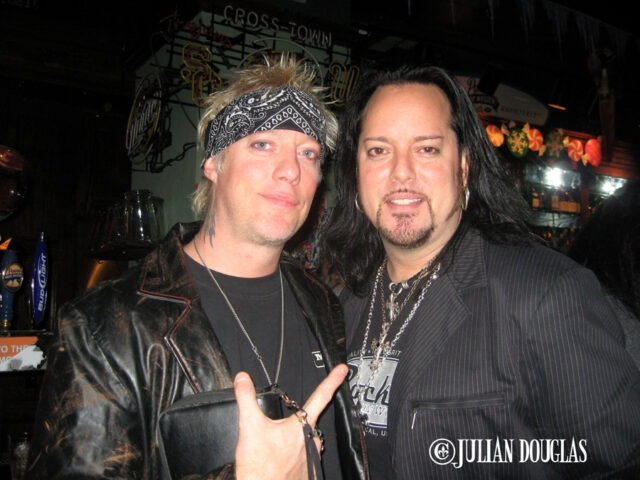 Jani’s 1st time down to one of my 80’s nights at Universal City Walk and of course he got up & played later 12/15/07. Another note, since writing that night of Jani’s passing, so much came out, private and public, the cause of his death, rumors, facts, etc. I knew about most all of it. In fact, I was interviewed even by law enforcement due to my closeness to the situation. No matter what, none of it will ever bring Jani back. It’s why I always have and will continue to just miss and appreciate my friend, that musician, that genius. Jani & I all dressed up for my Christmas Party at The Magic Castle 12/18/05. Oh, and lastly, I had so many people ask me what gift did Jani give my wife Nicole and I at our wedding reception. That’s now a two-part answer. The owner of The BriXton at that time gave us a customized Dean guitar. Jani offered to sign it to commemorate the occasion. A few other friends that were guests followed suit, including Fred Coury of Cinderella, Dizzy Reed of Guns ’N Roses and Bobby Blotzer of Ratt. Turns out, that happened to be one of Jani’s last things he ever autographed. And that brings us to his personal gift, which I will finally divulge now… it was a Roman Candle, for those that might not know, a handheld, long exploding firework that shoots out big balls of fire. Not legal here in So Cal of course, lol. But when he gave it to us, he simply said, it was for us to one night, light, maybe here by the sea, some exotic location, where ever. But more importantly, light it off to watch the sparks fly, to appreciate our love for one another, and even think of him. It touched us, having such meaning as only Jani could have to what others might think was nothing. It never mattered what anyone thought, because we treasured his words and thoughts. To this day, in fact, we still have not lit it. I know one day we will. I know we want to. But we’re just not ready, I’m just not ready still 7 years later. It, after all, was the last physical thing Jani gave to me. So, for now, it waits to be lit, and when we finally do, maybe I will write about that night too. Our Wedding present, the guitar from the BriXton that Jani autographed 4/11/11. The world continues to miss you Jani. We miss you. 7 years later, nothing has changed, I still miss you.